Water Features - Great Additions to Pools! One of the hot trends for pools is incorporating a water feature into the pool design. Whether it is water cascading from a stone waterfall or an intricate grotto located behind the falls, the new trend for pools is to add the relaxing element of falling water. Customers are incorporating fountains that shoot bursts of water through the air, elaborate cascades that drop a sheet of water into the pool and intricate waterslides for the kids (and you too). You can create your own natural wonder of the world right in your own backyard. Worked with D.W. Taylor Constructions on another outdoor room. A beautiful stone fireplace is the focal point of the room. Perfect for those cool winter nights. A few pictures of the finished project. Enjoy! 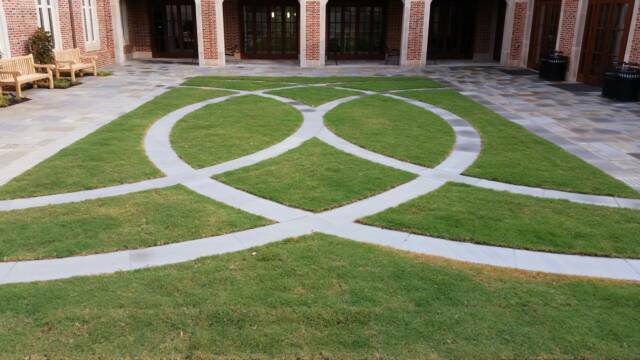 Very much enjoyed working on the University of Richmond Queally Hall project. 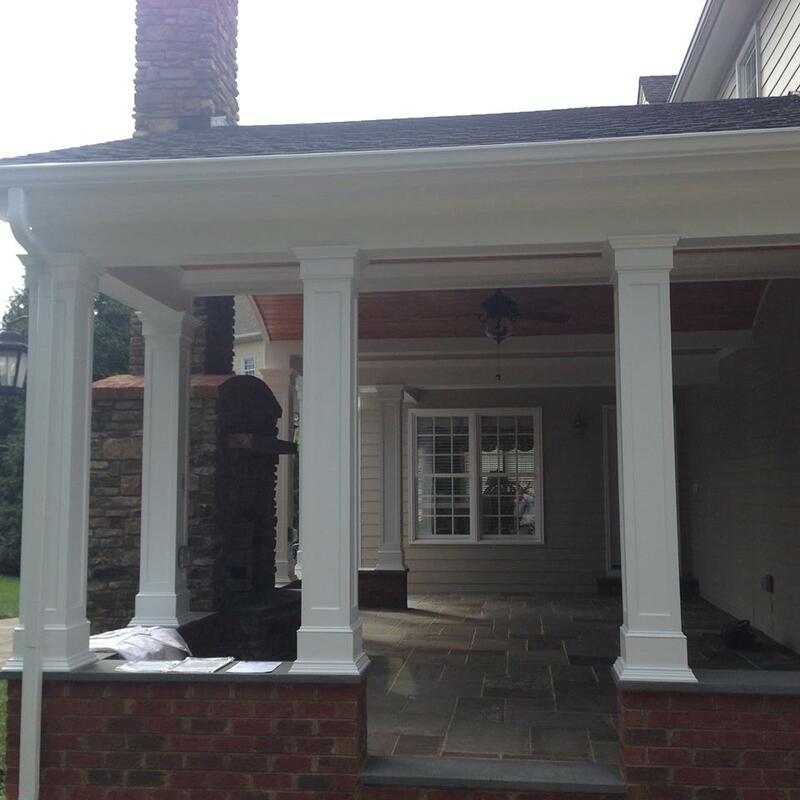 Here are few pictures of the finished work. Beautiful campus. Enjoy! The question I keep hearing from customers is “What materials can we use for our pool decking because we don’t want concrete!” Clients are looking for new, natural ways to surround their pools. The old, cracked white concrete is out and has made way for all sorts of natural (and some man-made) materials. We are using everything from - bluestone to travertine to concrete pavers - to help incorporate the pool into your existing landscapes. If you are looking for something beyond the old, boring white concrete, here are a few different pool deck materials to consider. If you are anything like me now that the snowy winter has come and gone, you are counting the days until summer. So why not start planning your perfect outdoor space now...the warm summer days will be here before you know it! Start with a Design - I always say this, but that's because it is true. The best way to start any project is with a good design. Either by yourself or with your landscape designer, start by listing all the elements that you want in an outdoor kitchen - the grill, refrigerator, sink, counter space, seating area, roof structure, the floor, and most important...the view. Then lay it out like you would your indoor kitchen, ensure everything works together in your space. It is best to design your entire backyard to keep everything cohesive, even if you only plan to install groups of items at a time. Material Selection - You can create your outdoor kitchen out of many different materials, just remember that the materials you choose must resist the outdoor elements. For the kitchen base we typically use brick and mortar, stone, paver or stucco. Then we select the counter tops - popular choices are natural stone or granite, paver or concrete. Then it is time to pick your appliances, typically stainless steel works best outside. Plan for your Utilities - Remember when you are planning the layout and positioning of your kitchen, to plan for where your utilities will need to be run. Do you have natural gas, electrical power and water in that location? Always remember to have Miss Utility mark your yard before you start any landscape project. Provide Adequate Lighting - Ensure you have proper lighting so that when you are cooking you can see what you are cooking. Not such a big problem in the summer months, but if overlooked it can be tough to grill in the dark winter months. You can also use light to create moods for evening cocktail parties with friends or hot dogs and hamburgers with the neighborhood kids. Entertaining Space - Remember when you are designing your kitchen you want to create a space not just to cook, but to entertain. So think about adequate seating, music systems, and possibly an outdoor television. Whatever you do, make sure it fits your needs and personality. Remember if you need some help give us a call. For more pictures and information on outdoor kitchens check out our photo gallery. 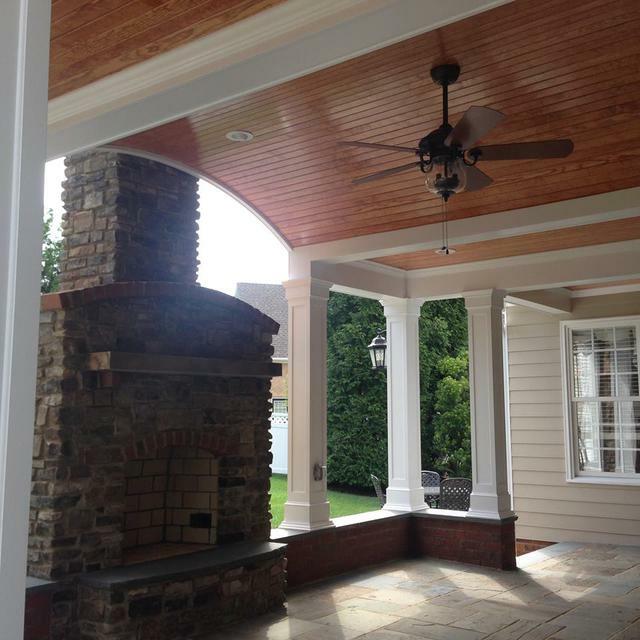 We just finished a really great project at a new client's house. 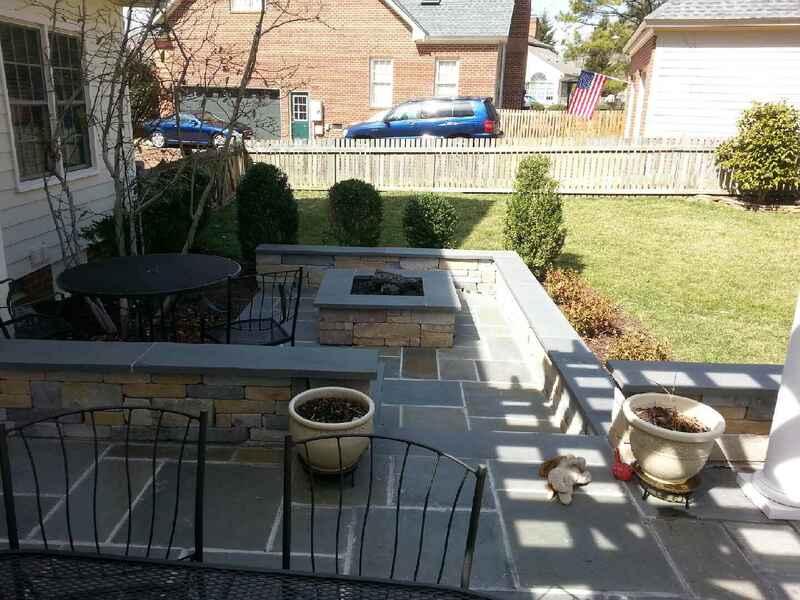 We installed a bluestone patio with seat walls, an outdoor kitchen, pergola and square fire pit. It turned out beautifully. Enjoy! Here is a great photo of the whole job spanning the width of the house. This photo shows a close up of the kitchen, patio and seat walls. 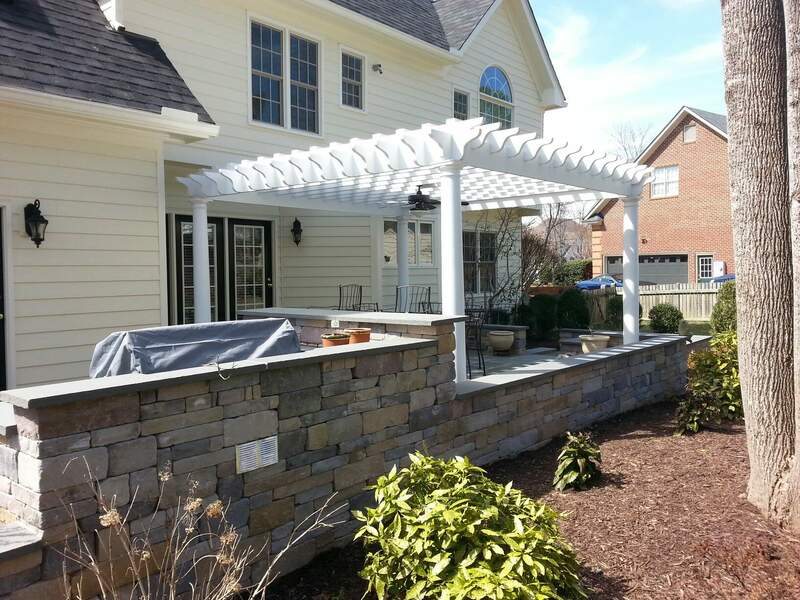 This is a nice photo of the pergola with lighted fan for the warm summer nights. And this is a great shot of the fire pit and seat walls. 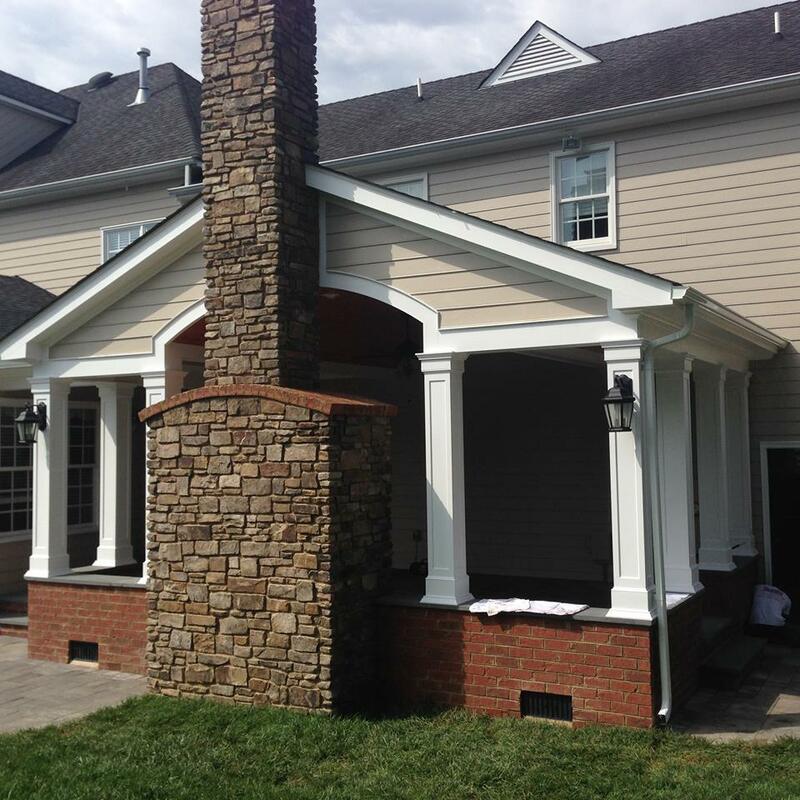 Congratulations to Dumont Homes for winning Best Curb Appeal at the 2013 Pparade of Homes. 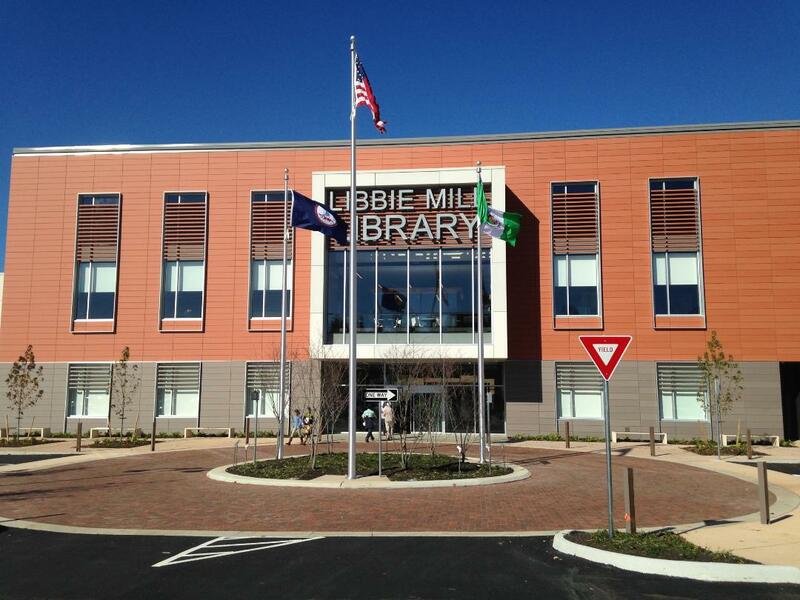 We enjoyed working with you on this project. Fall is the Perfect Time to Update your Pool! With this one last blast of warm weather, are you thinking back on the summer and asking yourself if you got the most out of your pool? If you find yourself saying "no", then let us help you make a change this fall. 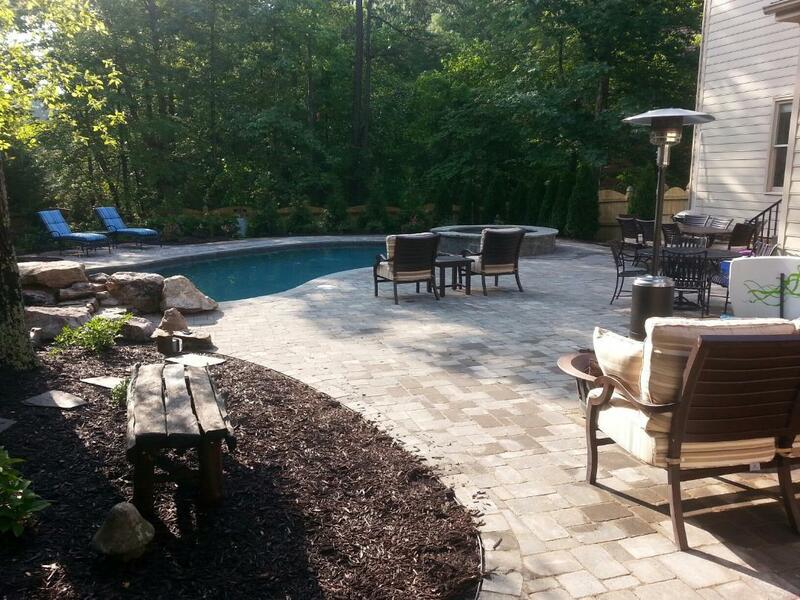 Simply updating an old pool deck can completely change the look of your landscape. Many customers are choosing to replace existing, outdated pool decks with more natural products - bluestone, travertine, brick pavers, and architectural slabs - that add a sophisticated style to their overall landscape. The pool deck conversion process is fairly simple and you DON'T always have to remove the existing concrete deck. In many cases, we actually lay the new materials directly over the existing concrete. Depending upon which material you choose to use, we can either dry lay the material with sand or use a mortared joint. Any type of pool - liner, fiberglass or gunite - is a candidate for this conversion and in many cases we can still use the existing pool coping. Plus it is a quick process; it only takes a week to 10 days to overlay an existing pool deck depending on the size. 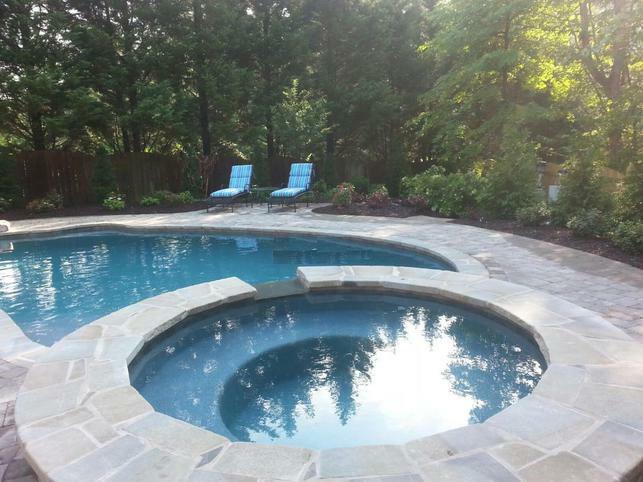 Bluestone or Flagstone - One of my favorite natural materials to use around pools. 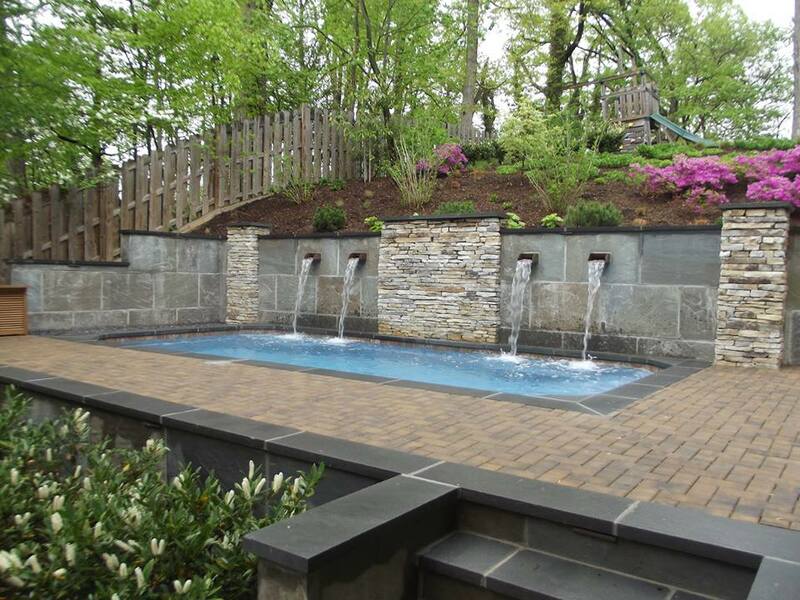 Bluestone gives the pool a touch of elegance and sophistication. I would use a random pattern with rectangular and square stones and use a grout that will compliment the color hues of your home (tan, white, grey). Bluestone is also surprisingly cool to the touch too. I would stay away bluestones cousin, slate, it gets very hot under your feet and will be unbearable in the Virginia sun. Travertine - Another natural stone that I am using more and more around pools. 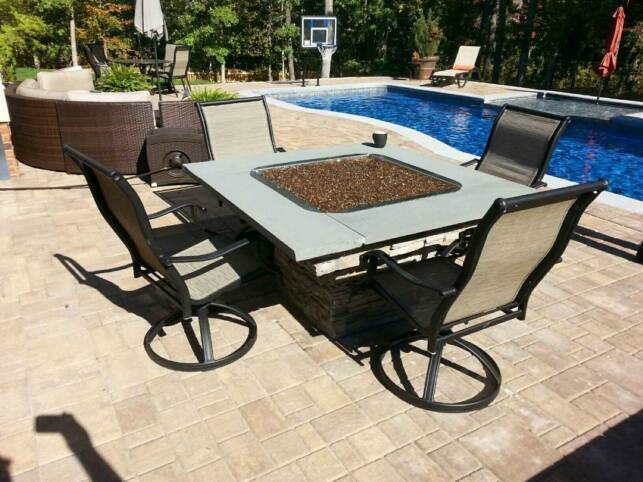 This is a great natural material that comes in several colors and sizes (with matching coping). You can dry lay an irregular pattern with this stone. 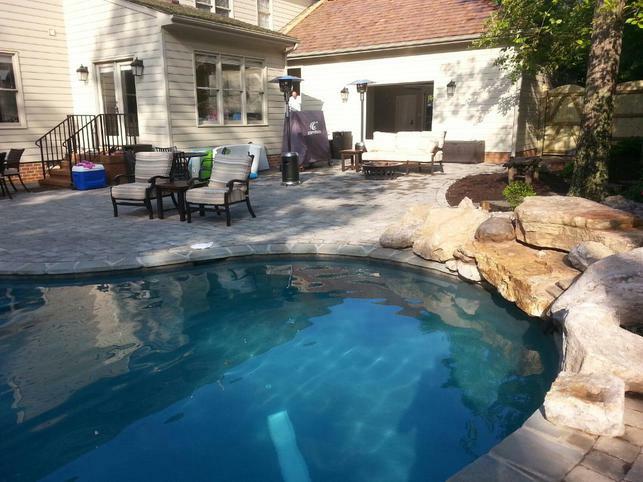 One word of caution - be sure to get a travertine for outdoor use, this will make it less slippery around the pool edge. I know everyone thinks travertine can be slick, but it actually absorbs the water and makes the stone more coarse so that you don't slip. 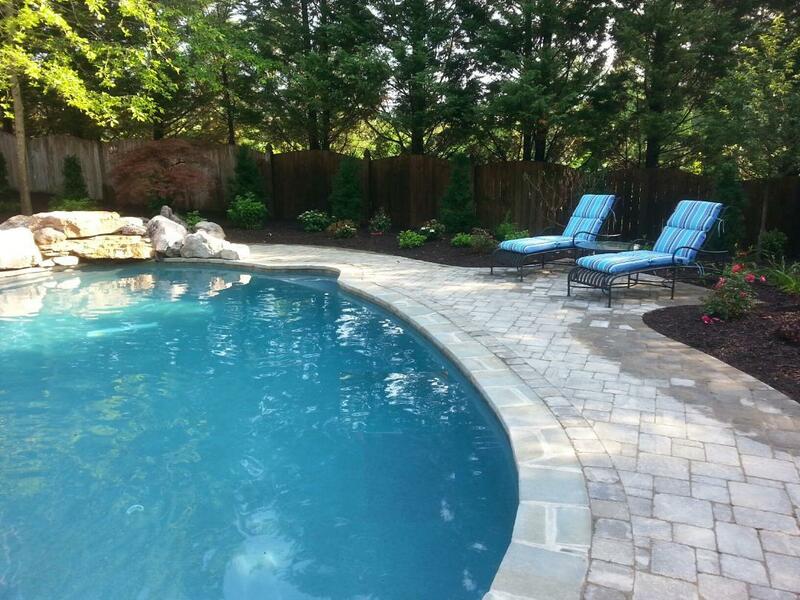 Concrete Pavers - One of the most economical pool decking materials is the paver. Pavers come in a variety of colors, sizes and can be laid in many different patterns (with matching coping). 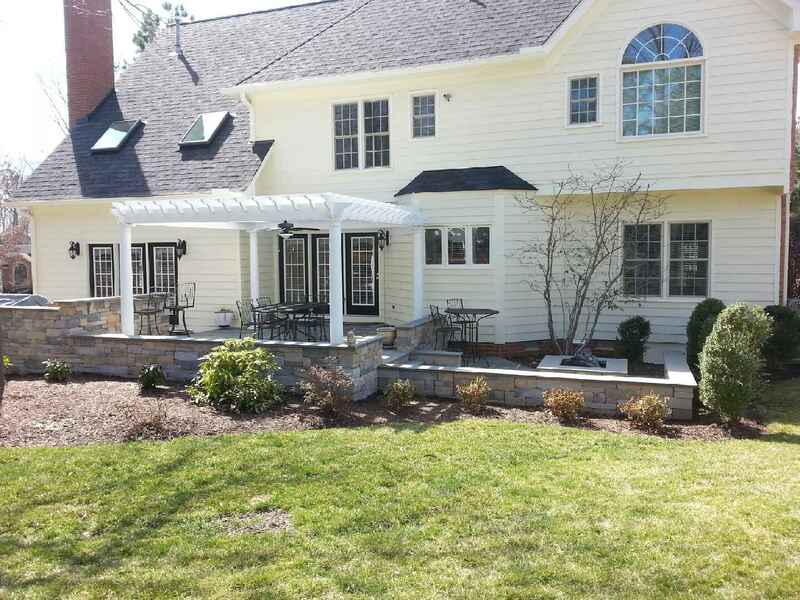 You will want to find something that compliments the style and color palate of your home and matches the other hardscaping already present in your landscape. The best part about pavers is they don’t crack! Brick - I think brick gives a pool a very sophisticated, old world look. Similar to the paver, brick comes in several colors, but only one size. These can be dry laid with sand in the joints or laid with mortar, whatever your preference. One caution when using brick - make sure you choose one with a smooth finish, some brick can be rough to the touch - not good for tender feet. 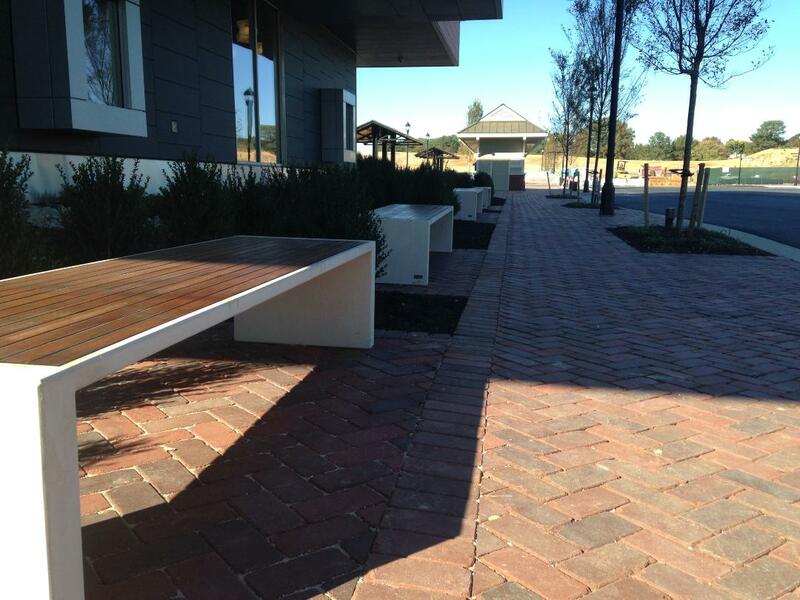 Slab Paver - Slab pavers are similar to concrete pavers, but are much bigger and give the appearance of bluestone. They are still dry laid with swept sand in the joints, but they look more like bluestone than a paver. 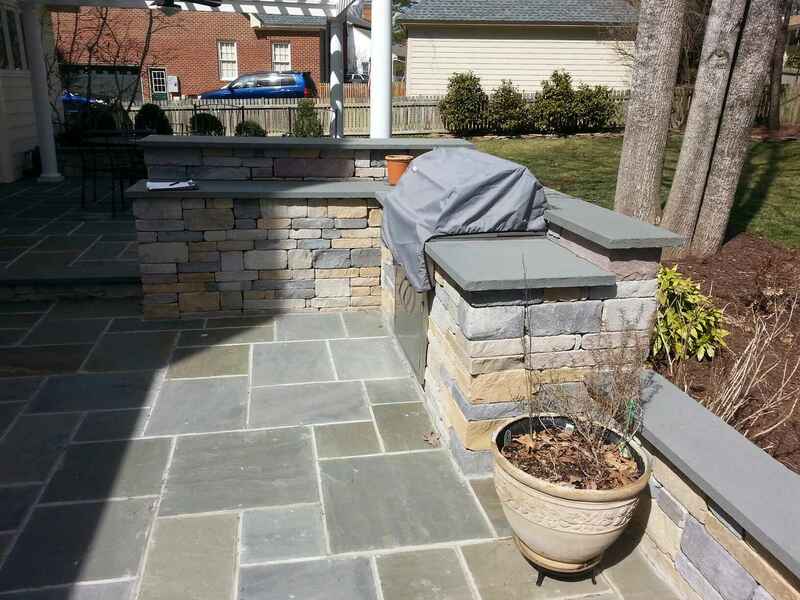 If you love the look of Bluestone, but don’t like the price, this may be an option. 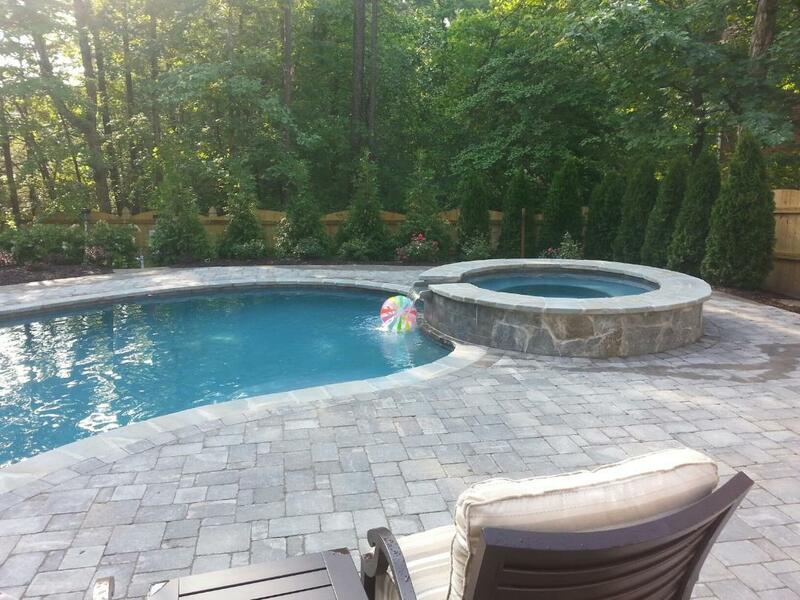 Tell us how we can help you transform your outdated pool! There is a great article in the Richmond Times-Dispatch that features one of our favorite customers. The article features an outdoor room that we built for the Phipps complete with fireplace, kitchen and bluestone floor. Take a read!